First of all, what is gingivitis? It’s a bacterial infection that starts with a buildup of plaque along the gum line. Then, the bacteria can get caught in the spaces between your gums and teeth. As the bacteria multiply, the resulting infection is gingivitis. Some studies state that more than half of all American adults have gum disease. Gingivitis is not serious and can be easily remedied fairly painlessly with an ordinary cleaning at the dentist’s office. If it goes unchecked, though, it can turn into periodontitis, a more serious condition that can lead to secondary illnesses and problems, from painful abscesses to tooth and bone loss. Hopefully, these tips can help to make sure your gum health is on track. Be vigilant about your dental health routine. See your dentist regularly, brush after every meal, and floss at least once a day. 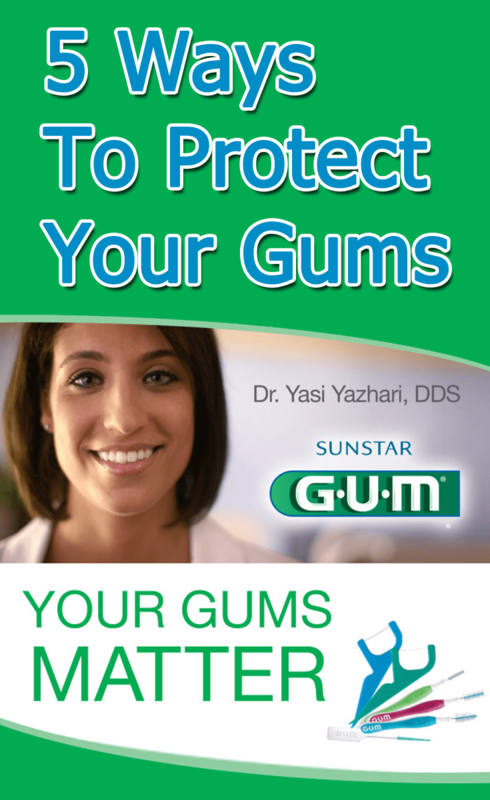 GUM products by Sunstar are good tools to make routine dental care as easy and painless as possible. One of the problems many face is getting to hard to reach areas. Their flossers and interdental brushes can help make sure you don’t miss cleaning any important surfaces. Watch your weight. Eat plenty of healthy foods, that are low in added sugars. Obese individuals suffer more dental problems than their counterparts. Buy an electric toothbrush. This is a great investment that could end up paying for itself in lack of dental bills. A good electric toothbrush can be 10 times more effective at removing food particles and buildup. Use the right products. If your teeth are sensitive to temperature, make sure yours is designed to counteract those issues. Caution in testing is suggested, and you may find that you are already aware of your own temperature preferences. Don’t smoke. Smokers have a much greater risk of developing periodontal disease, and it lowers the chances of successful treatment. Just in case you needed another reason to quit. Sunstar is launching a smart campaign called Your Gums Matter to educate people about the importance of taking great care of your teeth and gums. This is a great place to learn even more about your gum health and all the ways they are making it easier to care for your whole mouth. You can also sign up for great money saving offers, both online and in store. Happy flossing! Get a head start by entering the sweepstakes below for your chance to win the following prize: 1 Technique Deep Clean Toothbrush, 1 bag of Flossers, 1 package of Proxabrush Go-between cleaners in Tight, 1 package of Soft-Picks and eez-thru floss. How religious are you about your oral care routine? Previous articleGoing Back to School to Get Part Time Work. Does This Ever Pay Off? I brush after every meal (have a toothbrush in my desk at work), and brush & floss at bedtime ! I’ve been doing better lately with flossing more regularly. This is a good reminder to continue. Thank you for the great gum care info. I am going to print this out so my children can read it to. You can’t underestimate the importance of dental care! You only get one set of adult teeth. See your dentist regularly, brush after every meal, and floss at least once a day,, The best advice. This is a great and informational post. Thanks for posting it. gum care is so important, great article and tips! My gums do matter. I liked reading the tips on how to keep my gums healthy. I learned an electric toothbrush can be 10 times more effective. I have taken care of my teeth and gums since I was a child and can’t imagine not doing so. But I do know people with gorgeous teeth that do not seem to know the importance of taking care of their gums & teeth. I always thought electric toothbrushes were just a novelty but I like that they can be 10 times more effective than manual brushing. It will sound crazy but I didn’t pay that much attention to my teeth until I helped clean pets’ teeth while working in a vet’s office. After seeing how gum disease and tooth decay affected the animal’s health I was much more conscious of my own teeth! 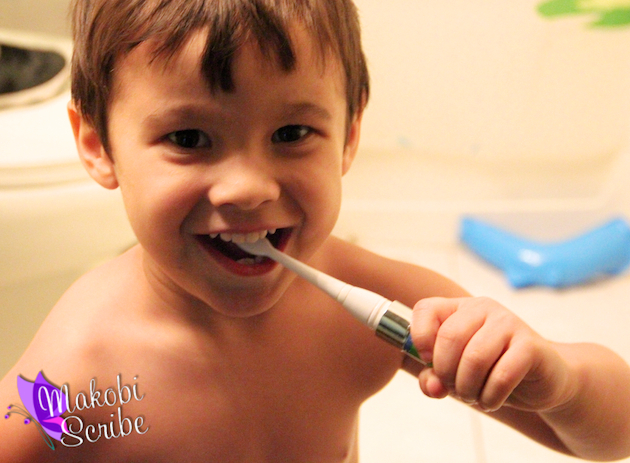 I love the easy flossers as they help me encourage my kids to floss as well as making it more convenient for myself! It doesn’t take much once you see what is really going on under your gum line right?! Yes, taking care of ourselves involves really taking care of our gums…bad gum management can lead to so many health issues later down the road. I enjoy using gum care products. Thanks for all the great gum care tips. In the past I wasn’t very religious about my oral care routine but lately I’ve gotten better because I have burning mouth syndrome, so I have to really watch it or the symptoms get bad! I did not know that weight could cause dental problems. I learned something new. we brush twice a day . I use these gums products before. One fact that I learned that I didnt know is that a good electric toothbrush can be 10 times more effective at removing food particles and buildup than a manual brush. Everyone should be aware how important it is to brush your gums when brushing teeth. You have to take care not to develop gum disease.